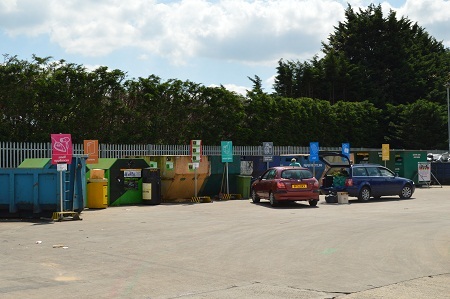 We currently manage five Household Recycling Centres (HRCs) on behalf of Gloucestershire County Council, one Household Recycling Centre on behalf of Cheltenham Borough Council and a number of smaller 'bring bank' sites throughout Gloucestershire and West Oxfordshire. We are responsible for the day-to-day running of the sites, from keeping the sites clear of litter and fly tipping and keeping them safe for public use, to arranging the emptying of the banks and the timely transportation of the recyclate collected on site. The recycling crew did a great job yesterday by using their inititive in the high winds by securing the waste sacks so they did not blow away. Please send a thank you to the crews.